Graves’ disease is an autoimmune disease that causes an overactive thyroid, also known as hyperthyroidism. Since it is an autoimmune disease, the immune system attacks the thyroid, which in turn results in the thyroid producing more hormones than the body requires. The thyroid, a small, butterfly-shaped gland, is located at the front of the neck. In the U.S., Graves’ disease is the most common cause of hyperthyroidism, affecting approximately one out of 200 people. Although the disease can occur at any age, it is most common in people between 30 and 50 years old. The causes of Graves’ disease remains unclear, but researchers believe that it probably develops due to a combination of genes and virus. The risk of developing the disease increase if other members within the family have the disease as well as those who have other autoimmune diseases. People with Graves’ disease can experience side effects such as excessive sweating, sudden weight loss, nervousness, hand tremors, alterations in menstrual cycle, erectile dysfunction and reduced libido, anxiety and irritability, an irregular or fast heartbeat, Graves’ dermopathy, enlargement of the thyroid gland, and heart failure. A lot of individuals with the disease also experience complications with their eyes, such as bulging out or painful eyeballs, irritated and tearing eyes, and double vision. If Graves’ disease is not treated, it can lead to serious problems with the heart, bones, muscles, menstrual cycle, and fertility. The body systems harmed by Graves’ disease include the endocrine, immune, integumentary, and ocular systems. 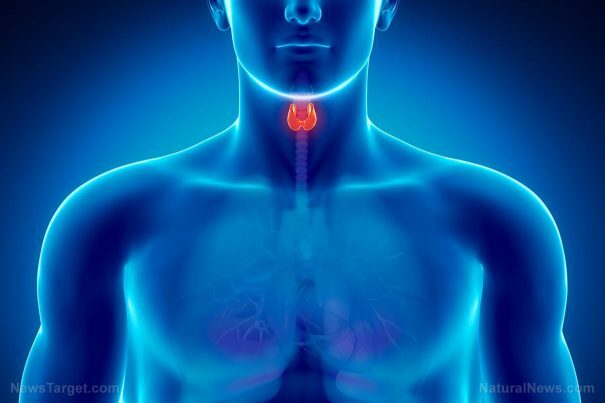 Since Graves’ disease causes overproduction of thyroid hormones, and these hormones regulate how the body uses energy, they affect almost all organs in the body. According to an entry published on the website OrganicFacts.net, Graves’ disease can be treated with foods such as broccoli, kale, cauliflower, millet, cabbage, and turnips. Foods rich in lithium and selenium, such as potatoes, seaweed, sugarcane, lemons, eggs, Brazil nuts, tuna, oysters, sunflower seeds, and whole wheat breads can also help treat the disease by helping in the regulation of thyroid gland. Moreover, herbs such as bugleweed, lemon balm, motherwort, and passionflower can lower the levels of thyroid hormone in the body. Vitamins A and D also help in the regulation of thyroid hormone production in the thyroid gland. Treatment options for Graves’ disease include medicine, thyroid surgery, and radioiodine therapy – which is the most common treatment. Are Thyroid and Endocrine Imbalances Causing Your Depression and Mood Swings? Graves’ disease is an autoimmune disease that causes hyperthyroidism. Graves’ disease causes excessive sweating, sudden weight loss, nervousness, hand tremors, alterations in menstrual cycle, erectile dysfunction and reduced libido, anxiety and irritability, an irregular or fast heartbeat, Graves’ dermopathy, enlargement of the thyroid gland, and heart failure. Graves’ disease also causes complications in the eyes and skin. Graves’ disease affects the endocrine, immune, integumentary, and ocular systems. Graves’ disease treatments include medicine, thyroid surgery, and radioiodine therapy.